Frederick William Quirin von Forcade ( Marquis de Biaix ) was born in 1698 to a well established military family and he was the son of a Lieutenant General. He entered Prussian service in 1713 aged 15 and by 1740 was Lieutenant-Colonel of his father's regiment IR 23. On 4th December 1747, he became a major general and in July 1748 Chef of the same regiment. On 10th February 1757 he was appointed a lieutenant general. Forcade participated in the Pomeranian campaign of 1715-16 and also fought in the Silesian Wars both at the battles of Hohenfriedberg and Soor. In that latter battle in September 1745 he was shot through the calf and severely injured. Frederick II, who seems to have liked him, recognized his heroism and awarded him the Order 'Pour le Merite'. During the SYW he participated in many of the battles – Prague, Roßbach, Leuthen, Zorndorf, Torgau and Freiberg. He was again wounded at Zorndorf. Towards the end of the war he was serving with Prince Henry, which might imply that he had fallen out of favour with his fickle monarch. He survived the war and died in 1765. 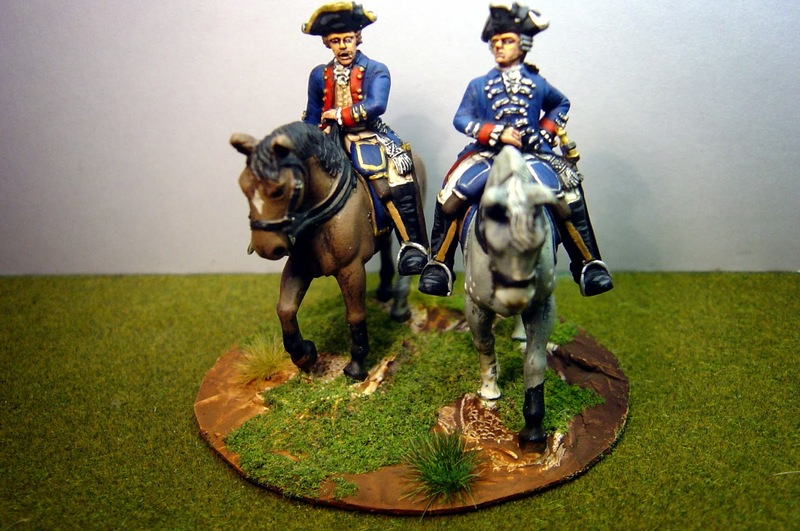 These figures are from the 40mm AWI range from Front Rank. 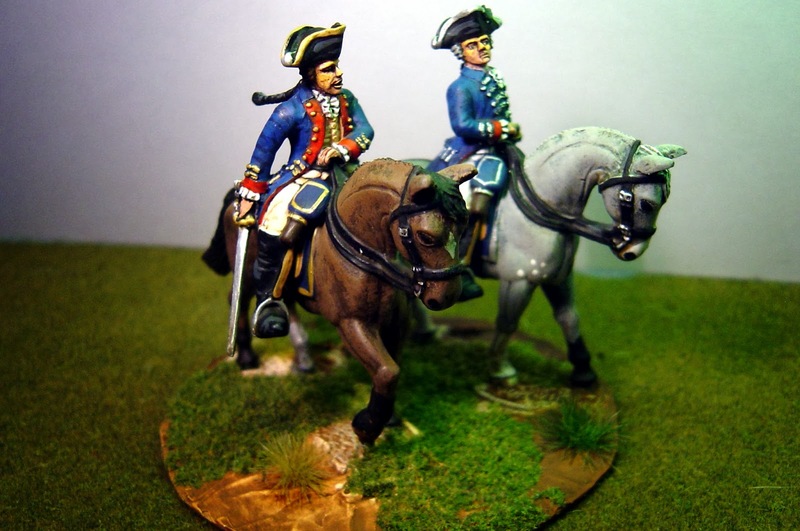 They are part of the Hessian range but, of course, entirely suitable for use as Prussians in the SYW. 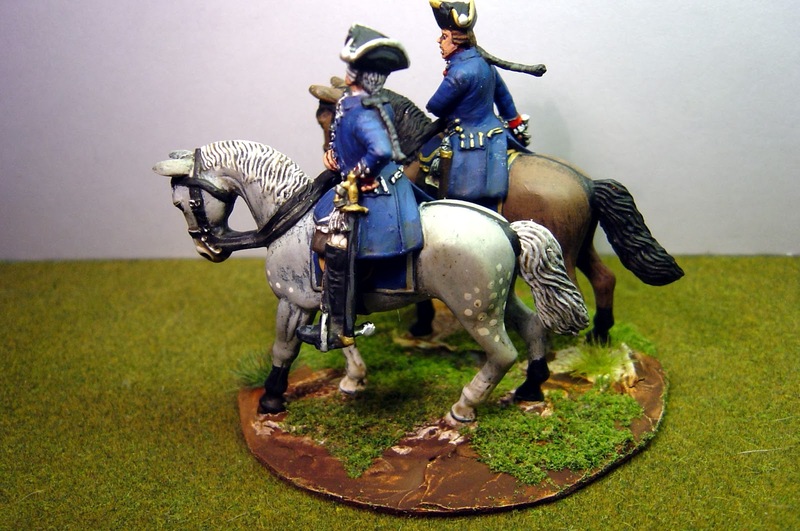 They are quite glorious figures and the horses are particularly good. 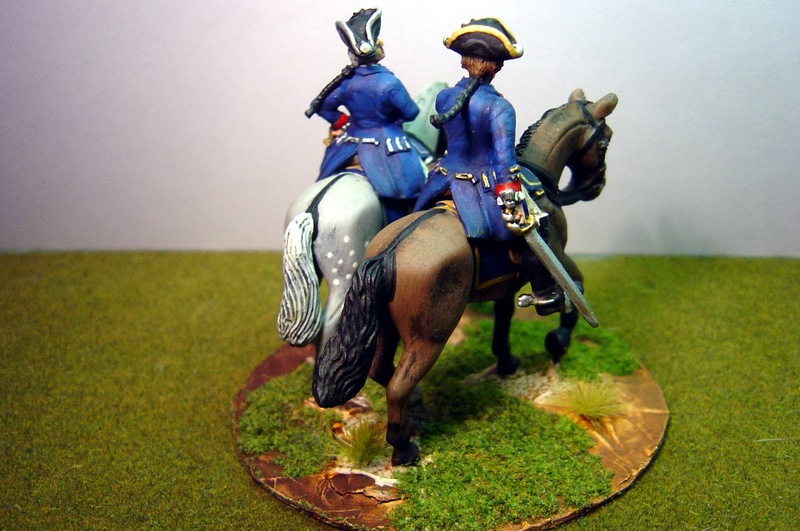 In my view the real genius of a sculptor of miniatures is to be found in their ability to sculpt horses not human figures. I have been ignoring my 40mm ranges for a while but I really must up the Prussian presence as I have finished phase one of the Austrians. To see more of them, check the links on the right hand side of this blog and go to 40mm. Great looking figures - at 40mm, they must be even more impressive in person. I wonder why he got that nickname? Speculating, maybe he was one of those generals who went to great lengths to look after their troops.